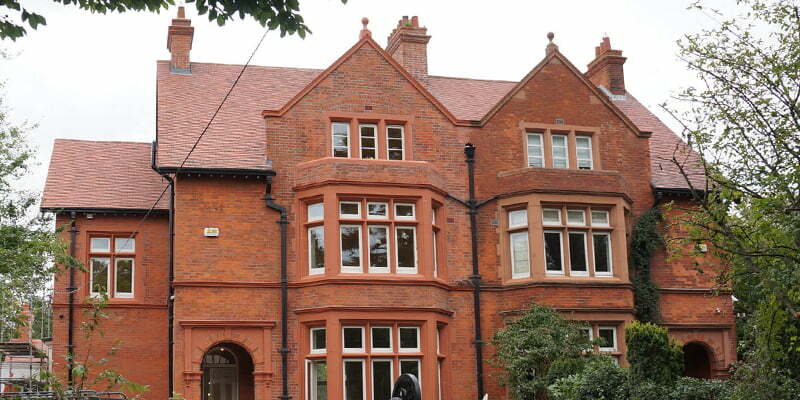 P Mac recently completed the cleaning, restoration and sealing of reconstituted red brick on the facade of a house on Shrewsbury Road, Dublin. To start off, we steam cleaned the entire facade – including chimneys – in order to expose the substrate for evaluation. It is almost impossible to gauge the condition of masonry when the facade is covered in dirt, grime and/or a coating. In addition, damaging pollutants such as carbon dioxide, sulphur and nitrogen oxides accelerate facade deterioration. Moisture is the primary cause of masonry decay, so cleaning a facade allows the normal transpiration of moisture. Re-sealing, once cleaned with an impregnator that allows the masonry to breathe, is essential. Once the substrate was exposed, we carried out repairs, mainly mortar repairs and joint replacement. 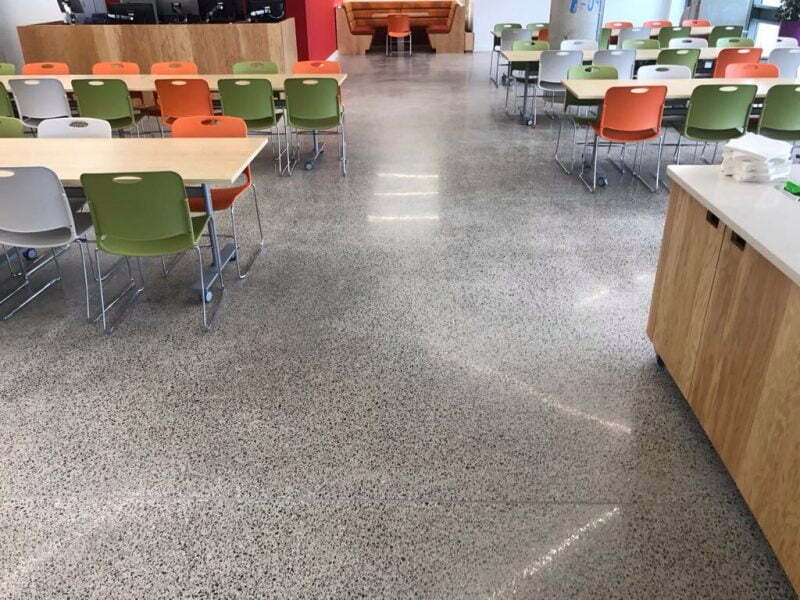 Staining and growth were treated using Tensid Restoration cleaner – the recon stone (reconstructed stone) needed to be treated and retreated until all water run-offs and growth were removed. Persistent efflorescence (whitish crystaline salt deposits on the surface of masonry) was treated using specialist detergent. The chimneys were also treated with detergents and growth removed. The stone was re-honed where runoffs had badly etched it. 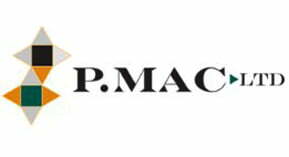 Reconstituted brick is very porous, P Mac therefore recommends that is impregnated with weather seal. This will help with ingress of water on all surfaces, which will prevent dampness and also help with future maintenance. In this case, we also recommended a further coat of Algo to be applied to give this very porous matter even greater protection against growth and staining.